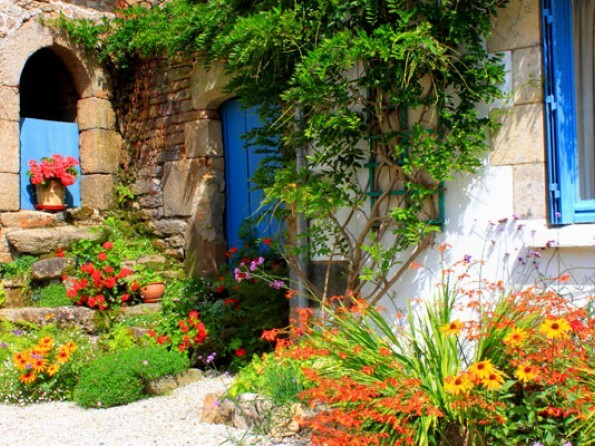 Nestled within a private 17th century hamlet in beautiful southern Brittany, this charming stone cottage combines whitewashed walls, wooden beams and vibrant blue shutters with chic interiors and a beachy boutique ambience. 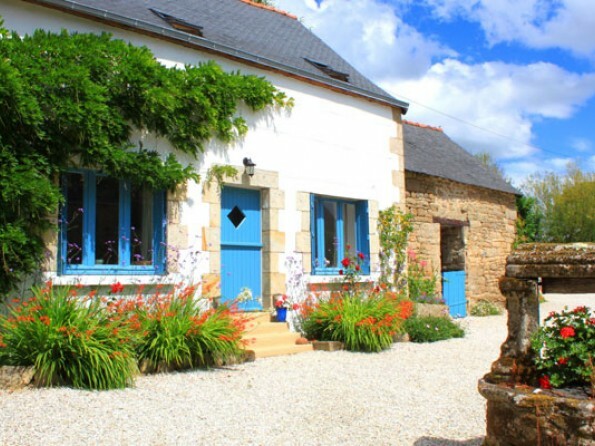 Warm, welcoming and effortlessly stylish, Jasmine Cottage is not your average holiday gite. 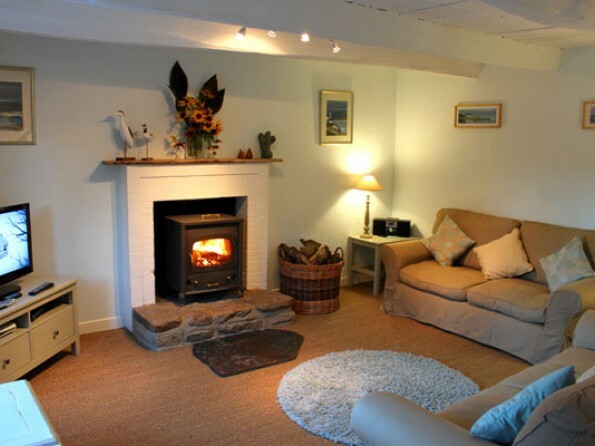 As soon as you walk into the courtyard you will be struck by the cottage’s colourful and welcoming atmosphere, not to mention the all-encompassing feeling of warmth and tranquillity. 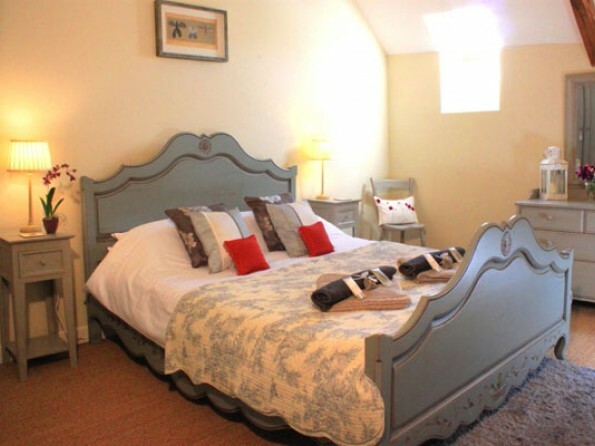 The cottage is completely detached and has been lovingly restored to a very high standard, with wooden floors, Seagrass matting, French furniture, super comfy beds and luxury linens throughout. And although the surroundings are wonderfully peaceful, restaurants, shops and a beautiful lake are just a few minutes away. Come and escape! 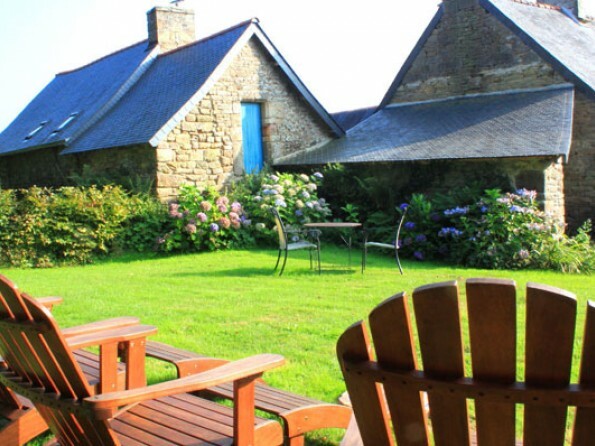 The gite is situated in the green and undulating countryside of the Scorff valley in the Morbihan region of Southern Brittany. Langoelan, our nearest village, is just a few minutes away, and here you will find a pretty church, a small shop selling basic provisions, a pizzeria and excellent French bistro. Langoelan is also home to the Lac du Dordu, a large lake which attracts varied wildlife and has a walking circuit all around it. Canoes and rowing boats can be hired in the summer and fishing is also popular. Guemene-sur-Scorff, a pretty medieval village with ancient houses, cobbled streets and a ruined chateau, is a 10 minute drive away, and has a lovely Celtic pub, restaurants, banks, and a large supermarket. The town of Pontivy, 25 minutes away, is full of shops and restaurants. Enjoy water sports on the Lac de Guerledan, visit the partially ruined Abbaye de Bon Repos, drive to the beaches at Port-Louis and Larmor Plage and dip into the warm, clear waters of the Golfe de Morbihan. If you’re travelling by air, Dinard is 2 hours’ drive. St Malo is our nearest Ferry port at 2 hours drive. Roscoff is 2 hours drive and Caen is 4 hours drive. 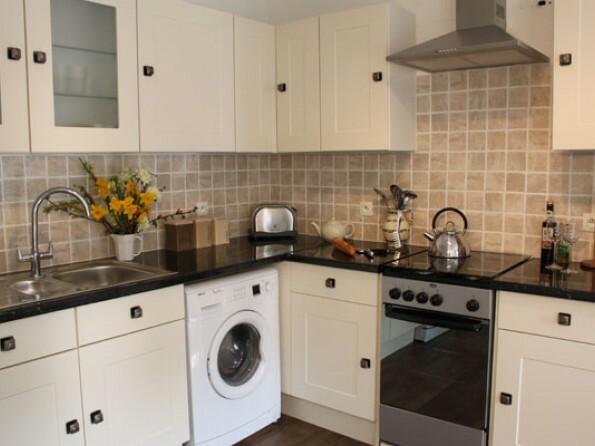 The kitchen/dining room is modern and fully fitted and the spacious south-facing lounge is kitted out with whitewashed beams, a cosy wood burner and everything from a flat screen TV with English channels and a DVD player to an iPod dock, board games and WiFi access. 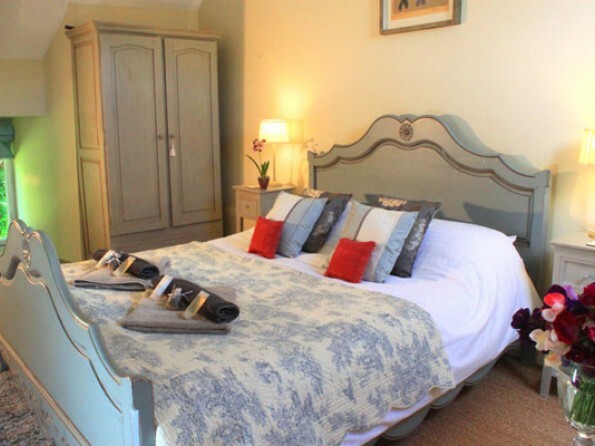 The pretty master bedroom is painted in soft natural colours and features chic grey/blue French painted furniture, and there is a second bedroom with twin sleigh beds. 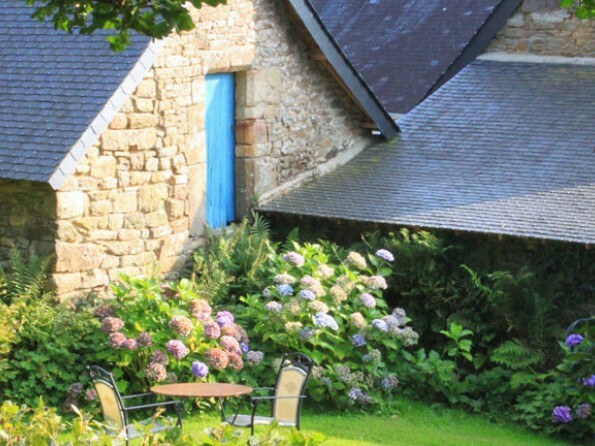 The cottage overlooks a lovely sunny courtyard with an ancient granite well and feature arched stone doorways which date back several centuries. To the rear there is a private garden complete with a shaded table and chairs, sun loungers and a BBQ. This green oasis is the perfect place to unwind with a book or a game of boules. 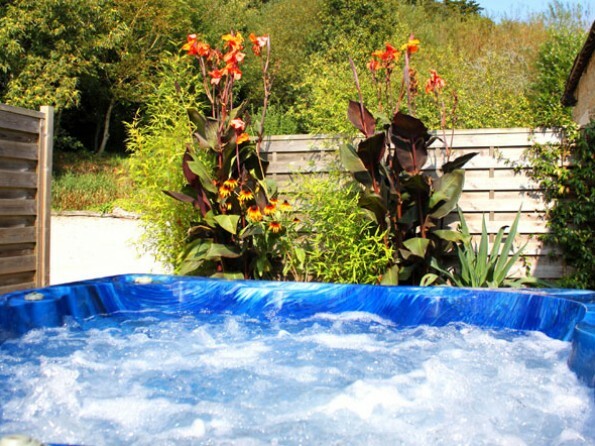 Guests of Jasmine Cottage also have private use of a large hot tub each day. 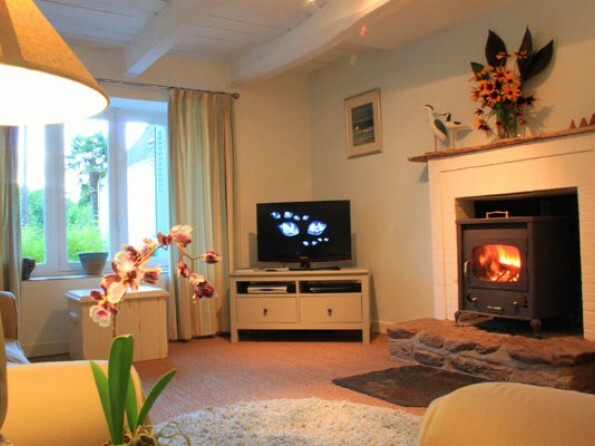 A generous welcome pack is included in the price of your holiday cottage, but on request we can also provide a home cooked meal for your arrival evening. The welcome pack includes fresh milk, butter, ham, cheese, salad, fruit, orange juice, eggs, pate, biscuits, tea, coffee, sugar, bread, jam and wine, plus seasonal produce from our organic vegetable patch when available. We also provide all the practical products you will need, as well as bikes, tourist info, guide books and walking maps. 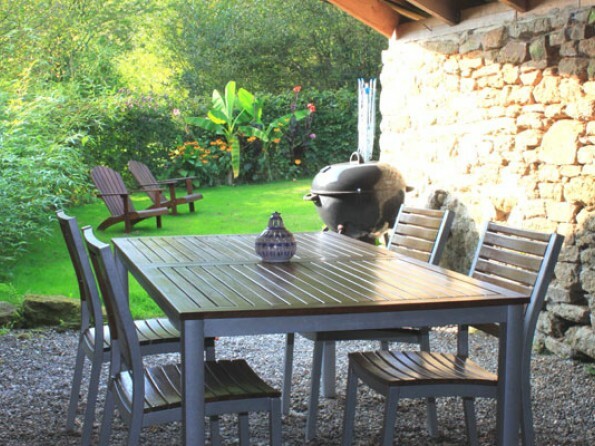 There is a second smaller cottage on site which is perfect for couples.